The stages in your skincare are important, but if you’ve just joined us from using water and soap on your face, then you may be confused as to what the product do, and why you actually need to use them. Stepping into the world of skincare can be quite a daunting matter, especially when faced with row after row of different brands, different products, and different stories behind them. This post is written to help you understand what each main product does in simple terms, and you can pick and choose which ones you want to use, you are not obliged to use all products every morning and every evening. (Though, we would recommend it for maximum effect). A cleanser does exactly what it says, which is to cleanse the skin. It removes makeup from your face, whilst being gentle, unlike face wipes. It is also strong enough to remove oil and dirt from the skin. Apply with your fingers to ensure you get into all the grooves in your skin, then rinse, and you should be able to visibly see how clean your skin is from first use. It is recommended that you double cleanse, though this is not necessary, as you can’t always remove the impurities the first time round. The toner removes any cleansing residue left over after rinsing. Once all the impurities are off the face, the toner can then deep cleanse the pores, unclogging them. Some skincare and makeup products can affect your Ph levels, a toner can balance out these levels, leaving your face feeling natural. 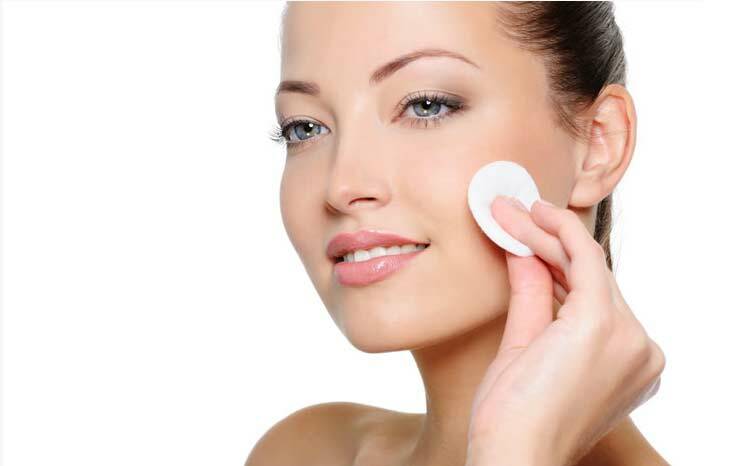 As well as balancing out the skin, a toner can also tighten and refine the skin making it appear plumper and younger. Exfoliating is probably the most useful part of any skincare routine, and you don’t even have to do it every day. It’s acceptable, if not better, for your sin to only exfoliate two to three times a week. The exfoliating process enables you to get rid of all the dead skin cells that sit on top of the skin. This is what makes the skin look gloomy and gives you a dull complexion, because in reality the skin hanging off your face at the minute is dead. It is important to exfoliate every so often in your routine, becaus if you just stick to putting creams onto your face, then, technically, you’re putting cream onto dead skin rather than the fresh clean skin you should be. Last, but not least, is moisturising. Most people do this on a day to day basis out of habit anyway. Even if you don’t apply a cream moisturiser, a lot of foundations out there at the minute have moisturising qualities to them. A moisturiser puts water back into the skin to keep it hydrated. It is important to keep the face as moisture as possible through all seasons, especially in the harshest of Summer and Winter. Both seasons dry out the skin in different ways, so a moisturiser will help restore your skin after bad weather. Even if it is just applied once or twice a week before you put yourself to bed. Though you don’t necessarily need to use all of these products, we would recommend at the very least to exfoliate the skin once or twice a week. This removes excessive impurities getting the skin ready for the perfect makeup application as you end up applying the products onto fresh, new skin instead of old skin that ages you.